Stipulations of law: Wouldn’t it be nice if we could all agree? There is an important distinction between stipulations as to the interpretation of the law and agreements as to the choice of law. Contracting parties can agree to the choice of law, especially before any dispute has arisen, absent the presence of facts that justify breaking the agreement such as duress, undue influence, illegality, or the like. Don’t assume that the court has these rules memorized and instantly accessible. On the other hand, don’t take advantage of the ignorance of your opponent and the workload of the trial court. It often happens that the trial court accepts a stipulation as to interpretation of the law only to be reversed on appeal. At that point, the party harmed by the stipulation may have new counsel or time to research the issue. The appellate court is much more likely to have a law clerk to research such issues. Attempts to argue that the stipulation should stand are likely to produce a loss of respect. As a result, any benefit of the stipulation is typically more than negated by the cost of a reversal and retrial. An appellant has the opportunity to make it easy for the appellate panel to locate the relevant documents in the record. If you have the responsibility to create part of the record, select a page numbering system that makes sense so no pages have the same number. Create a meaningful index to the record. For example, if a document has an odd or misleading title, provide that title and, in brackets] a few accurate, neutral, descriptive words. 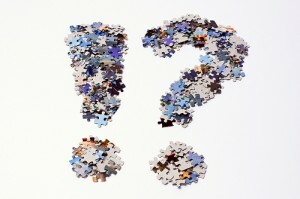 Identify the declarant or witness if that information is not in the title. Provide copies of the index in the brief and in each volume of the record, marking which documents are in which volume. Format selected block quotes for easy reading. 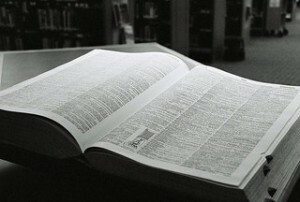 Many readers find the dense text of standard block quotes tiresome enough to read that they may skip over the blocks entirely. 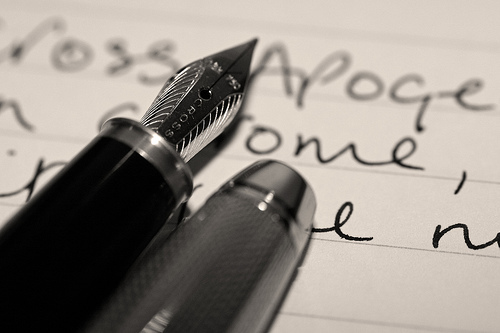 Istvan & Ricks, Top 10 Ways to Write a Bad Brief, N.J. Law. (2006). Add extra leading between the lines to reduce that tendency. If there are paragraphs in the block quote, retain that formatting instead of substituting a paragraph mark. One successful approach to the preparation of opening briefs is to assume the court knows nothing of the subject and is uncomfortable making a decision that no judge has made before. Each step in the argument must then be accompanied by citation to relevant precedent reflecting the wisdom of the that step and, overall, of the decision you seek. The key is to identify the right starting place and the steps required to travel from the starting point to the desired end, avoiding the tendency to slide over or combine them. Briefs using this model should provide all forms of authority needed to convince the judge to take the next step. Possible evidentiary issues need to be resolved; substantive questions need to be answered or shown to be inapplicable. As each step is explained and answered, the next step can be introduced and its issues and questions answered. At the end, the table of contents alone can walk the reader through the points to the desired ruling. 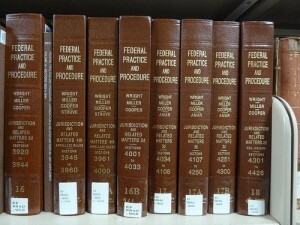 http://www.law.georgetown.edu/library/research/guides/legal_ethics.cfm, a broad-based Legal Ethics Research Guide offered by Georgetown Law Library with links to substantial material. Many of the links are to Lexis and Westlaw, but there is an extensive list of available resources, and some Internet links. 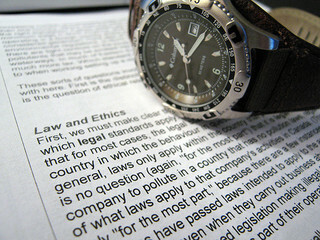 http://legalethics.com/, which focuses on a variety of specific topics, including ethical walls, blogs, ethical issues associated with use of technology by legal professionals, use of the cloud, and a state by state directory. http://www.freivogelonconflicts.com/, described as “A Guide to Conflicts of Interest for Lawyers,” which gathers material into multiple topics such as Co-Counsel/Common Interest, Corporate Families, Enjoining Conflicts, Investing in Clients/Stock for Fees, Lawyers Representing Lawyers. A variety of federal and state laws require that notice of an appeal be given or that a copy of the appellate brief be served on the U.S. Attorney General or the applicable state attorney general. 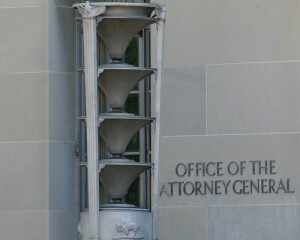 Failure to comply may delay the appeal or result in other sanctions. For example, California provisions declare: “No judgment or relief, temporary or permanent, shall be granted or opinion issued until proof of service of the brief or petition on the Attorney General and district attorney is filed with the court.” Cal. Bus. and Prof. Code §§17209, 17536.5; accord, id. §16750.2. Judges are substantially governed by rules—local rules, rules of evidence, state or federal rules for trial courts or appellate courts. Rules do not normally determine the merits, although rules provide the structure or framework within which the merits can be considered fairly to both sides. Not surprisingly, judges typically know the applicable rules quite well. The judge may have drafted the local rule specifically to address an issue arising with some frequency in that judge’s courtroom. Or the judge may have been reversed for failure to enforce the rule. A primary brief author may work over a number of days on the brief, followed by review and alteration by other attorneys and the client. Sections of the brief may be emailed to others for comment. It can be hard to remember which case and statutory cites have been checked thoroughly. Even aside from cites that may be added by others, an attorney may run across a case supporting point X while focused on point Y. If the attorney adds the case to the draft brief in progress and returns to point Y, there may be nothing to distinguish that citation from the cites that have been checked. Those who use Google Scholar and other imperfect sources of law need to track the cases located through that research to check them on Westlaw or Lexis because reconsideration may have caused alteration of the relevant paragraph. Subsequent history may turn a good cite into a bad one. Annotations may reveal a good or bad construction of a statute not shown by Internet sources for the statutes. Although the issue is especially acute with Google Scholar, the problem exists with every cite. String cites are almost universally condemned. Judges at all levels criticize string cites. Minority and dissenting judges criticize majorities that use string cites, and vice versa but to a lesser extent. Attorneys criticize the string cites in their opponents’ briefs. Law reviews insult string cites routinely. Almost all legal positions that matter to one side in a dispute have contrary law supporting a different legal position. I’ve got some cases on my side and you’ve got some cases on your side. One of the serious mistakes I can make is to focus so greatly on the good cases that I fail to distinguish and destroy your cases that hurt my position. In Coghlan v. Starkey, 852 F.2d 806 (5th Cir. 1988), the court awarded sanctions for frivolous appeal for that mistake. “Here, the appellate brief indicts counsel as having recognized that no authority supports the claim. Not only was there scant discussion of adverse decisions cited by the magistrate, but only two cases were even named in the brief. This is poor appellate practice and an abuse of the appellate process.” Id. at 816 (footnote omitted). The Bankruptcy Appellate Panel of the Ninth Circuit has adopted some materials designed to assist attorneys and litigants involved in a bankruptcy appeal before the BAP. Although many of the excellent materials address the peculiarities of bankruptcy appeals, Appendix I has advice for all attorneys in any court. 1. Know what relief you want (and why). 2. Know your audience. BAP judges generally possess a level of expertise in bankruptcy matters superior to that of most district court judges and their law clerks. I wish I had learned some things earlier. That’s especially true when it comes to my writing. 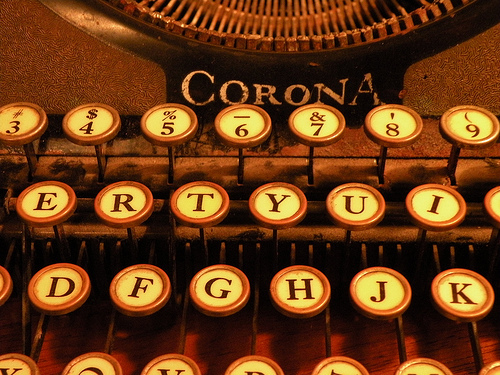 So I thought I’d share five writing tips that I wish I had known earlier. 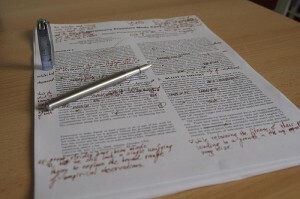 The first tip concerns an edit at the sentence level. Other tips will address changes at the paragraph and word levels. Tip # 1: Place important and new information at a sentence’s ending. Think of legal research as a way to get from here to there and to convince others to go with you. Even judges, perhaps especially judges, are uncomfortable going, in the words of Star Trek “where no man has gone before.” Legal research provides the stepping stones of authority showing that others have gone from here to there before and that “there” is the right place to go. 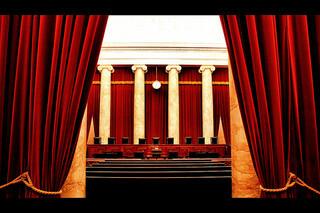 Direct authority—a clear and definitive statement in the applicable constitution or statute or by a controlling court or other body (use may require briefing to establish the body’s status as controlling when preemption, choice of law, and similar issues are presented; if there is no statute, then a regulation; if the highest court has not spoken, then an intermediate court). At least in the initial drafts, efforts to keep a document concise may stifle the flow of written words. If this is true, then let the words come freely and deal with wordiness later. Once the desired content is captured, a writer can turn to making the document shorter and otherwise more pleasing. Check the margins to be sure the lines extend to the full permitted width and length. Extend the block quote margins. Substantially the same principles apply to actions that become moot on appeal as apply before judgment. E.g., Annot., What Circumstances Render Civil Case, or Issue Arising Therein, Moot So as to Preclude Supreme Court’s Consideration of Their Merits, 44 L.Ed.2d 745 (1975); Note, Mootness on Appeal in the Supreme Court, 83 Harv. L. Rev. 1672 (1970). Legal documents routinely identify the parties and others by full name in the early passages and then create a short name for use in the rest of the document. Make the most of this practice by thinking things through at the beginning of a case. Whatever short name is selected should be one that works for the entire case and any appeal. Changing the name even once adds an opportunity for confusion that cannot benefit the client. Don’t ever trust a spellchecker despite how valuable it can be. Many correctly spelled words are not the ones you intended. If possible, delete common words from the dictionary that are unlikely to be correct in context, such as pubic (public), untied (United). Some spellcheckers will automatically “fix” words the spellchecker identifies as wrong. One example is tortious (correctly spelled but not in the dictionary) which is automatically changed to “tortuous” by some versions of the Word spellchecker. Another example is “sua sponte” which has been autocorrected to “sea sponge” in some cases. Unless your eyes are directly focused on the word at the moment it changes, you may never know that auto-correct has fixed it (and you). Here is “A Little Poem Regarding Computer Spell Checkers…” for those who would be amused and a film clip of a comic’s routine on proofreading. Never use the “Replace All” tool without at least replacing a number of the items one at a time. One publisher that can be nameless wanted to fix all citations to Cal without a period (as in Cal App) and replaced all throughout the manuscript without limiting the replacement to capital Cal space. As a result, the entire manuscript was sprinkled with “Cal.ifornia,” “practical.” “cal.culated,” and so on. Problems created with Replace All may be virtually impossible to locate. Legal documents contain many words, often too many, but that’s not all. Legal documents contain open space or white space between the captions and the text, as well as above, below and on the sides of block quotes, lists and bullets. Attorneys focus on the words and sometimes pay no attention to the white space even though it can make significant difference in the readability of the document. Unless you are working under a page limit and the burden of too much to say in too few pages, don’t feel obligated to cram your words into the smallest space possible. Often a listing of specific items need not or should not be numbered. Numbers may incorrectly indicate a hierarchy or ordering of the items. In these cases, bullets work well. The material presented in bullets needs to be parallel in form and format. If one is a sentence, then all should be sentences; if one is a phrase, the rest should be similar phrases. The bullet items should normally all be in the same tense if verbs are used. Opening capitalization and ending punctuation (if any) should be the same. There is no absolute right and wrong in the style. Shorter phrases lend themselves to lower case. 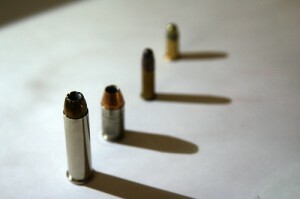 If any bullet will have more than a single sentence, then an initial capital and a period will be needed. Attorneys often write exhaustive and exhausting sentences. Attorneys may not be the worst offenders, as Wikipedia cites Jonathan Coe’s 2001 novel The Rotters’ Club as containing a 13,955-word sentence. In Stanard v. Nygren, 658 F.3d 792 (7th Cir. 2011), the court criticized a complaint with at least 23 sentences with 100 or more words, including sentences of 385, 345, and 291 words. 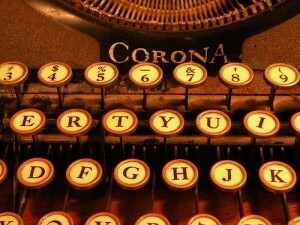 Average sentence length should be 18 to 20 words, and Word will tell you that, along with other readability indicators. Some sentences have to be relatively long, but long sentences should be interspersed with short ones. Long sentences often can be made more comprehensible with the use of bullets or numbered lists. Sentences that are initially long when drafted can be revised into two or several shorter sentences. 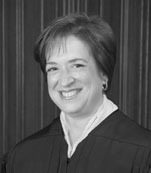 Want To Write Like Justice Kagan? 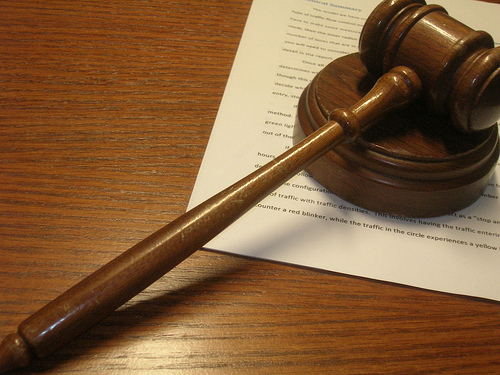 Jurisdictional arguments normally go first, even if they are not the strongest. If the jurisdictional argument is a winner, the court has no power to rule on the remaining arguments. A judge may not appreciate having to read pages of substantive arguments before reaching a dispositive jurisdictional point. Other arguments that will be dispositive if accepted, like statute of limitations, should appear early in the brief on the same reasoning. Arguments that raise the rights of absent third parties often should lead. A court will not rule on the merits in the absence of an indispensable third party, so it makes sense to resolve early whether the third party must be joined. Very short arguments might be offered early even if they are not the strongest. This depends on the relative strength and the characteristics of the various arguments. A short argument that accurately and fairly casts the opponent in a negative light might be made early so that the remaining arguments are seen in that light. A weak and technical short argument is best left to the end or omitted. The number and complexity of the facts required to present the argument may affect the placement. A judge may absorb all the facts at once, in an opening presentation, or a judge may more easily absorb an initial overview of the facts followed by briefing of specific arguments and the facts relevant to those arguments. Some arguments build on an earlier argument or make sense only after an earlier argument. Look for any logical connections that impact the ordering of the arguments. Check proper names, company names, addresses, and the like. Be especially sure the names of the judge and your client are spelled correctly. Judge MacBride does not appreciate being identified as Judge McBride. If you know you make a recurrent type of error, search for it separately. You may be able to have the computer spellchecker catch many types of errors, such as pubic for public and trail for trial, by removing the word that is likely to be undesirable from the dictionary. Don’t trust the auto-correct dictionary. For several years, for example, the dictionary in one major word processor automatically corrected “tortious” into “tortuous.” Unless your eye is on the word at the moment it auto-corrects, you are unlikely to discover the substitution until it is embarrassing. 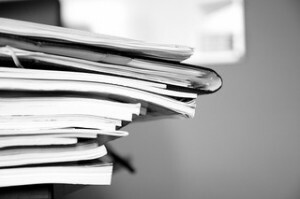 There are many citation styles one could use in writing briefs—The Bluebook, The Redbook, the University of Chicago Manual of Legal Citation, the California Style Manual, and so on. One is not inherently superior to another. If the court that will consider the brief has a required style, then that ends the matter. citations in a single brief need to be consistent in format and presentation. Every deviation from consistent citation style that is not obviously justified by some immediate need to provide additional information is a distraction to the reader. Every distraction pulls the reader away from the brief’s goal (affirmance or reversal). you can move sections of the brief around freely when you realize that a later argument is stronger than first thought or logically belongs earlier in the brief. There is no need to search for the parts of citations omitted when supra is used. the court can see which circuit and court decided the case. If you spend the extra time to locate authority in the same circuit, why lose the benefit of that information in the second citation? using supra doesn’t save that much space anyway. Abbreviations are another place where you may decide not to follow the rules too strictly. Consistency in abbreviations may be more important than perfection in abbreviating in accordance with a long list of hundreds of terms. Abbreviate when you really get some benefit, such as Mgmt. instead of Management, and when the abbreviation is common, such as Ins. for Insurance and Co. for Company. Memorize the 20 or 30 words that are worth abbreviating consistently in case names and write all others out in full. This approach allows your writing to flow without having to look up an abbreviation or think about whether to abbreviate words in a citation. Have You Seen the Whole Statute? The Chief Financial Officers Act of 1990 appears in the following United States Code titles: 5, 31, 38 and 42. The Child Abuse, Domestic Violence, Adoption and Family Services Act of 1992 appears in United States Code title 42, but part is codified between 5101 to 5118e and the rest between 10401 to 10415. Reviewing the entire statute may reveal arguments that are not apparent when only a segment is examined. The entire statute may reflect a statutory intent that is not immediately apparent from isolated sections. Definitions may be codified in one section that illuminate the meaning of other, distant sections. To locate the whole statute, use the historical references to trace back to the original statute as enacted. Different states offer different tools for locating session laws, enrolled bills and other acts of the legislature. Among other sources, see http://www.lawsource.com/also/. If things did not go so well in the trial court, an attorney may want to return to the books for more research for the appellate briefing. In cases involving statutory issues, there may be relevant law that has not been codified that may make the difference. Consider whether you are really done. Have you answered the question(s) that were asked? All the questions? Are all the factual and procedural statements supported by citations to the exhibits? Are there any omitted evidentiary points that may benefit your client as to burden of proof or presumptions in favor of your client or against your adversary? One time, proofread just the headings or captions. Cut and paste the headings into a separate document. Read them apart from the brief. Do they make sense? Are the captions parallel in structure and tense so that they flow pleasingly? Should you add subheadings to assist the reader or make other adjustments? As a generally applicable rule, new issues cannot be raised on appeal. The record is silent and the issue is commonly new to the prejudice of one party. 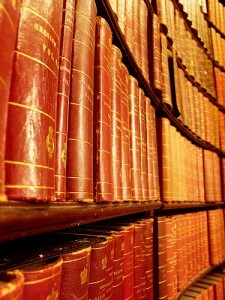 Appellate courts have little or no difficulty in rejecting the introduction of new issues on appeal in most instances. General rules generally have exceptions, as is true here. Although there are a number of new issues listed that may be raised on appeal, the reality is that new issues are successfully raised on appeal very rarely. 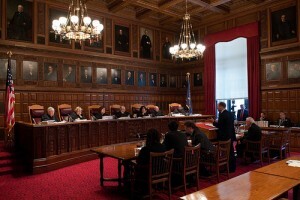 The new issue may be introduced by one of the litigants or, less often, by the appellate court sua sponte. Most often, the successful new issues concern either the court’s own power and protection or the protection of absent or incompetent persons. In civil cases, litigants select their attorneys and normally are bound by the errors and omissions those attorneys make. Absent compelling circumstances, trial and appellate courts normally should not come to the aid of litigants. Recognized exceptions that courts may apply in many jurisdictions include the following, although variation among the States and in differing circumstances prevents certainty. Highlights will include conversations with Justice Sandra Day O’Connor, the United States Solicitor General Donald B. Verrilli, Jr. and the Chief Justice of the California Supreme Court, Tani G. Cantil-Sakauye. The programs put together by the Council are designed to meet the needs of lawyers of varying experience, including people who are highly experienced. Those programs include a program on ethics by Douglas Richmond who is highly entertaining and focuses on specific appellate ethics problems. The program on handling difficult oral arguments is designed to move beyond the basics of oral argument and focus on tough problems which can occur during oral argument. Our writing program will also be different because it will be dealing with how to be an effective editor and rewriter of briefs prepared by others. We are also doing a program on standards of review which will not merely cover the importance of review, but how to deal with the standards strategically. When they are either for or against you. Finally, a practical program on business development will be on hiring outside appellate counsel with the speakers from well-known corporations who actually do hire appellate counsel. A nonparty may be vitally interested in the outcome of pending litigation or a pending appeal. The interest may be so great and so direct as to require that the nonparty be made a party. Such a nonparty is frequently but unfortunately spoken of as indispensable. When the interest is somewhat less, however, the nonparty may seek leave to intervene or to appear as an amicus or, alternatively, watch the litigation from the sidelines. 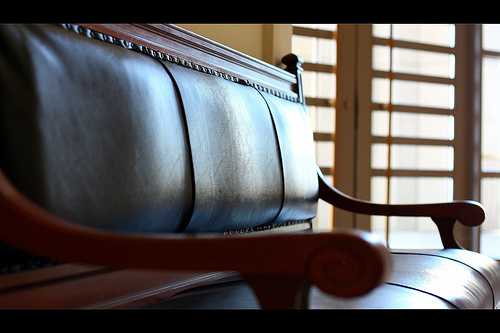 What considerations bear on the choice of intervention and appearance as an amicus? Most significantly, an intervenor is bound as a party, whereas an amicus curiae is not a party and is not bound by the judgment. That distinction is a strong encouragement for a nonparty to proceed as an amicus curiae and retain the ability to fight again in the future, especially if the nonparty’s ability to participate in and influence the trial, appeal, and outcome as an intervenor are not entirely clear. As a party, an intervenor will have the right to appeal, denied to an amicus, but may be held liable for attorney fees and costs. An intervenor will be bound by the judgment for purposes of res judicata and collateral estoppel, while an amicus will not. Many brief writers mistakenly think of the table of contents as a nuisance that their secretaries must complete before briefs are finished. This fundamental error can profoundly affect the quality of their documents. Once a significant part of a document has been prepared, and often when a discrete segment is completed, the author should pull the table of contents that then exists to study. That table may reveal a missing argument to be added, an editorial adjustment to be made in the ordering of existing arguments, a problem in the logical flow of the document, and other issues to be addressed. For a long document, this process may need to be repeated multiple times. Pulling the table is not difficult. The headings can be cut and pasted into a separate document. The page numbering is of little importance and will change, so it’s only the wording that is needed. When the document nears completion, the table of contents should be pulled again and closely examined. Are the headings that form the table in parallel format, typically all affirmative sentences? The table is disjointed when some headings are sentences, others phrases or single words. A rare exception may arise if all subheadings are a single word or short phrase. Is there something missing? Even if the point is in the brief, some courts will deem an argument waived if it is not captured in a heading. Moreover, this review may be your chance to realize that an entire argument has accidentally been omitted. Is there a logical flow from one part of the document to the next? Do the headings carry the reader forward? Does the table constitute a stand-alone short statement of all the arguments? 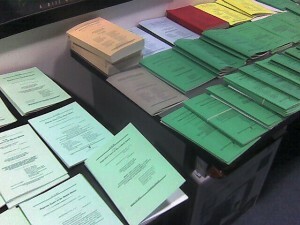 A judge may read the briefs a week or more before oral arguments. If your table provides a stand-alone statement of your arguments, it can refresh the judge’s recollection easily on the day of arguments. A compelling table of contents may be the best selling point possible for your arguments. Don’t pass up the chance to use it to make your arguments clearer and more accessible. Appeals can be tricky. They are expensive to litigate and difficult to win. They also take time, particularly in the Ninth Circuit, which is the busiest Court of Appeals in the United States. But, appellate practice can be rewarding, particularly if you can avoid common pitfalls and understand your chances on appeal before you get started. Sample briefs written by experienced attorneys can be an excellent source of information and guidance in drafting briefs, both as to style and substance. No matter how experienced a writer may be, there are things to learn from the ways other writers approach a problem. 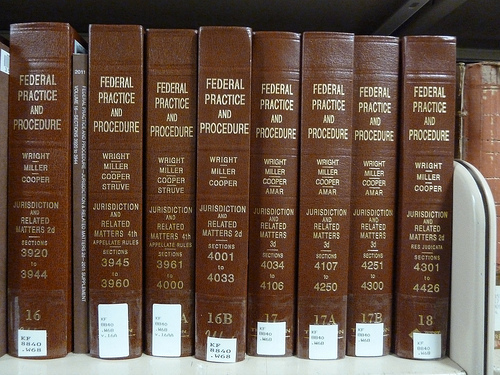 The Internet makes available a variety of appellate briefs worthy of review.